We at DFC are fascinated by possibilities in communication. We love stories about how humans make themselves understood, so we can learn more about how our services can respond. But we also enjoy hearing about animal communication styles — mostly because animals are awesome! There is extra fascinating — and extra unfortunate — news about human/animal communication from a new study pub lished in Biology Letters. A team from the University of Maryland Center for Environmental Science has discovered that wild bottlenose dolphins have been simplifying their language when calling to each other… In order to be heard over the noise of human activity in the oceans. Bottlenose dolphins are notoriously chatty and use their clicks and whistles to maintain group cohesion and announce individual status. There is even evidence that they have names and will call out to each other using them. 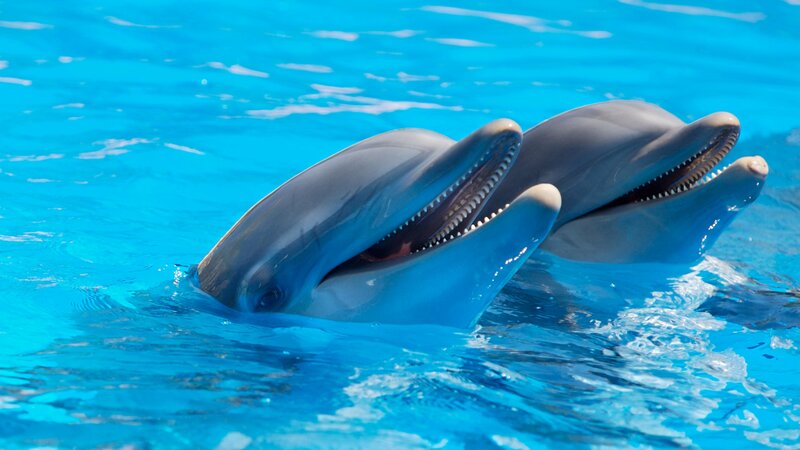 So, in all kinds of ways, vocalizations are critical to dolphin wellbeing. The team analyzed 200 underwater recordings of dolphin calls, collected over three months in the North Atlantic. They found that in busy areas, with lots of loud shipping or mining activity, the dolphins simplified and raised the pitch of their communications. We know an awful lot about physical pollution and its effect on the marine environment. But we’re only just starting to learn about noise pollution. If it has such a far-reaching effect on the savvy dolphins, imagine what else could happen to the widely diverse creatures down there. If we’re not careful, humanity’s legacy will be as the annoyingly loud background noise of the sea.